Catherine White is a studio artist in Warrenton, Virginia. White has been in more than seventy exhibitions in fifteen states, most often exhibiting in New York City and Washington, DC. Her work is included in both the Renwick and Sackler Galleries of the Smithsonian in Washington, DC. Since 1983, she has had yearly commissions for OMEN, a Japanese restaurant in Soho, New York City (affiliated with OMEN, Kyoto, Japan). 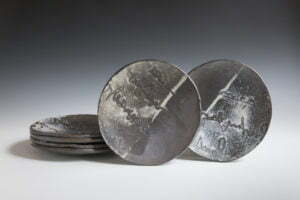 White has had commissions with the US Department of State for plates gifted by President Obama to Liberian President and Nobel Laureate Ellen Sirleaf, as well as tea canister gifts from First Lady Michele Obama for the 65th UN General Assembly. 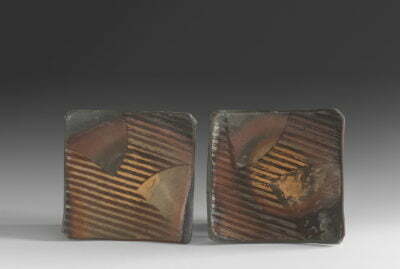 White originally established a studio with her husband, Warren Frederick, in 1984 in Dayton, Maryland. They moved the studio and their home to Warrenton, Virginia in 1989. White teaches ceramics at the Corcoran College of Art + Design in Washington, DC. 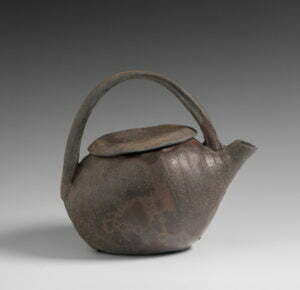 She has also taught ceramics at Penland School of Crafts, Penland, NC, American University, Washington, DC and Hood College, Frederick, Maryland. 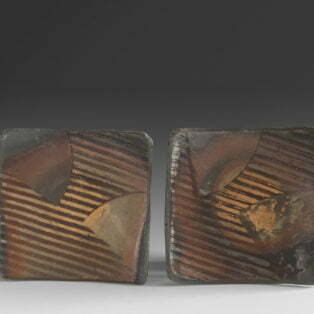 Her articles examining drawing, materials and failure have appeared in The Studio Potter. Born in 1958, she grew up in New York City as the daughter of artists. She jokingly says that the dinner table was the only space left for artwork in a family home filled with artist parents and siblings. She received an AA degree in 1977 from Simon’s Rock College in Great Barrington, Massachusetts. White moved to Aix en Provence, France in 1978 to study painting at the Leo Marchutz School of Painting and Drawing. She returned to the United States in 1979 and obtained a BA in Fine Arts from Antioch University, Maryland. 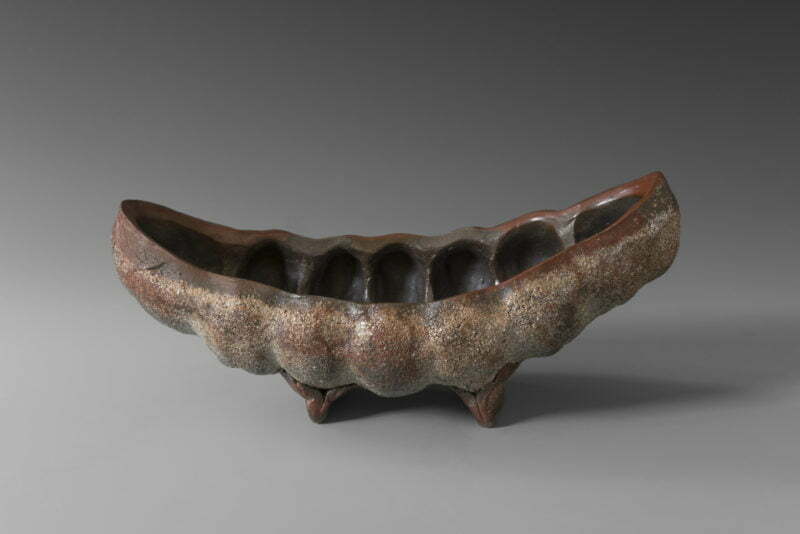 White then completed a MFA­­­ in Ceramics at Antioch in 1982 where she then became an Assistant Professor. 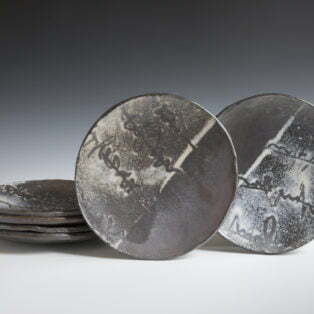 Using a poetic language of material, shape, and surface, my plates, bowls, cups and vases seek to translate life and landscape. 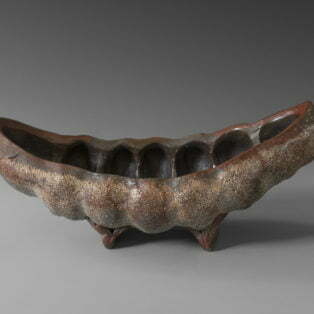 I often collect local raw materials, transforming them by manipulating clay bodies, surface slips, and firing effects. Each object has markings and irregularities that intentionally reveal the touch of the hand. One recent focus, a series of landscape plates, reveals painterly transformations of shadow and contour, each set creating site-specific layerings of atmosphere, terrain, and light. In my studio practice, throwing and hand-building are also intertwined with extensive drawing, painting, and collaging on paper. Firing ceramics in both a gas kiln and a woodfired anagama kiln, objects are often roughly layered with white slip and celadon glaze or stripped to essentials when woodfired. Choosing to exploit both surface and volume while remaining within the sphere of physical function, my forms range from intimate cups to large coiled jars.